How to Choose? Flatbed die or Rotary die? There are two die cutting methods available - rotary die cutting and flatbed die cutting. Which one is right for you? Cutting dies are long lasting, quality structures and present a one-time charge for your company. The maintenance, storage, and cleaning of all dies is covered in the initial price you pay. Rotary steel dies are more expensive than flatbed dies because the wood for a rotary die is circular in shape, and the method for making these is more extensive. Yet, looking at the price of the steel die alone is not enough information to make an informed decision. 1. How many dies will you need? Rotary steel dies can be 30-100% more expensive than a flatbed die, but the rotary machinery can run more pieces at once due to a larger blank size and faster speed. So, while the initial steel die may cost more, a lower per-each price can offset the die cost quickly. Will you be buying multiple orders on a regular basis, or is it a one-time purchase? If you are purchasing a specific product for a one-time promotion or a single distribution, then a less expensive flatbed die may be the best way to go. But, if you have regular usage of a specific product and plan on purchasing multiple orders of a particular package, the rotary machine will offer a lower piece price and will quickly offset the higher die cost. The rotary machine may be fast, but it doesn’t handle small pieces well. If your blank size (piece of corrugated product laid flat, before folding or gluing) is less than 15” in width or length, we will need to cut it on the flatbed die cutter. 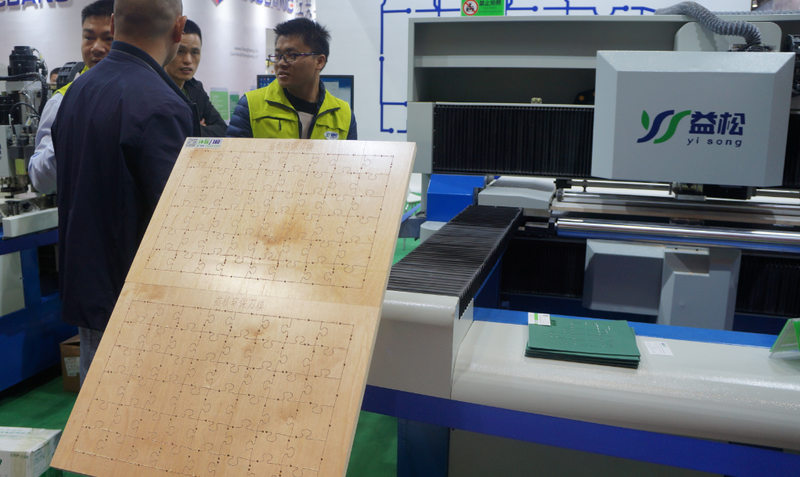 On the opposite spectrum, the capabilities for die cutting large blanks are limited on the flatbed machine. With a maximum blank size of 66” x 85” on the rotary die cutter, it can handle a lot of larger format pieces, and can cut out more at one time. The flatbed machine has a maximum blank size of 41” x 55”. 3. How complicated is the design? The rotary can handle big designs, but not necessarily intricate ones with tiny cut-outs, tight radius on corners, and slit scores. Since the rotary is a giant wheel rolling over the corrugated, the cutting isn’t quite as precise as the flatbed die cutter. Our structural designers have the expertise to know ahead of time which machine will be best suited for your product. 4. Are your products printed? The rotary press can print up to 3 colors AND die cut at the same time. This means that if your product needs to be die cut on the flatbed, it will need to get printed on another machine first. This adds to labor costs, and ultimately can lead to a higher price for you. Whenever possible, it makes sense to pay more upfront for the rotary die so you will see the savings from this investment down the road. Yisong environmentally friendly die board sawing machine is your better and perfect choice to make flatbed die. It can reach high die board cutting accuracy and easy to install steel rule on the board. If you need to make flatbed die, don’t hesitate to choose our automatic environmentally friendly die board sawing machine. It surely can meet you high standards and requirements. For more information about the machine , please visit the product page Global First Environmentally Friendly Die Board Saw Cutting Machine.